Recharging your cellphone has become easy and Simple nowadays, now matter whether it is Airtel, BSNL, Tata Docomo, Idea, Vodafone, Reliance or Aircel. To recharge your Airtel or any other SIM card online ( Prepaid ) , what you need is MOBILE NUMBER & ATM / Debit / Master / Visa / Credit Card or Net Banking. The process of Online Recharge is very easy and Simple, secure as well. There are Several Private Online Companies, which offers online recharge. You can also recharge your mobile phone (SIM ) from your network operators official website. Most of us usually recharge our phones from street shops or via coupons ( recharge vouchers ). Let me Tell you One thing that the amount you will get in your prepaid account will be less than the actual amount you paid (same goes in Flexi Recharge ). Topup or Direct Credit in SIM card means you will get balance in your SIM card, which further can be used for Internet Plans / access, as Talktime and sending SMS. Special Recharges are different from topup or Simple recharges. Special recharges are basically meant for Internet Plans ( GPRS, 2G 3G), reducing Call rates, SMS packs, Validity extension ( BSNL ) and some Combo packs. Internet Plans are Different on all SIM cards (Airtel, BSNL, Tata Docomo, Idea, Vodafone, Reliance or Aircel ). There is different pricing for 2G and 3G internet plans. You can contact Customer care to Know best plan for you. All companies, like Airtel, BSNL, Tata Docomo, Idea, Vodafone, Reliance or Aircel offers several plans to reduce call rates. Network Operators also offers Combo PACKS ( talktime + Internet ) , SMS PACKS AND Validity Extension (mainly in BSNL) plans to please customers. To Recharge online, take the following steps. 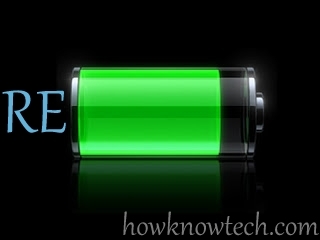 The above are good sites to recharge your mobile phone no, you can also use other site as well. Hope You Like the post and the info , quickly Recharge your Phone if you want.